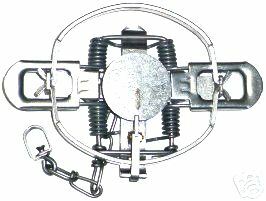 Victor/Oneida #3 (4x4) Offset Jaw Coil Spring traps. Heavy Duty chains and swivels. Made in the USA.